What is CBT (Cognitive Behavioural Therapy) and How Does it Help? At Altum Health, we offer a selection of therapies we feel best match the needs of our clients. One type of therapy we offer is CBT (Cognitive Behavioural Therapy). There are several forms of CBT, so what is CBT and how does it help? In this blog, we are going to talk to you about traditional CBT. 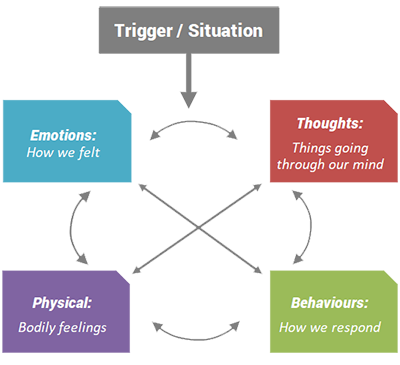 Traditional CBT is a type of therapy that aims to help clients identify any Negative Automatic Thoughts (NATs) they are having and understand how these NATs interact with and influence their behaviours, emotions and physical sensations. It helps clients gain awareness into why they might be behaving in certain ways, how their problems continue, as well as how their NATs influence physical sensations and emotions. Through that awareness, they can start challenging their NATs, make changes, and break patterns of behaviour. Traditional CBT addresses current behaviour rather than focusing on historical experiences and information, although what has happened in the past is explored in order to make sense of current behaviours and cognitions. What conditions is traditional CBT helpful for? Originally, traditional CBT was developed to treat depression, but it has been adapted to address different difficulties such as Eating Disorders, Anxiety, Depression, Panic Attacks, Psychosis, and Obsessive-Compulsive Disorder (OCD), to name but a few. It has been shown by many clinical research trials to be an effective treatment and is recommended by the National Institute for Health and Care Excellence (NICE) guidelines as a first line of treatment for many presentations. How does traditional CBT help? 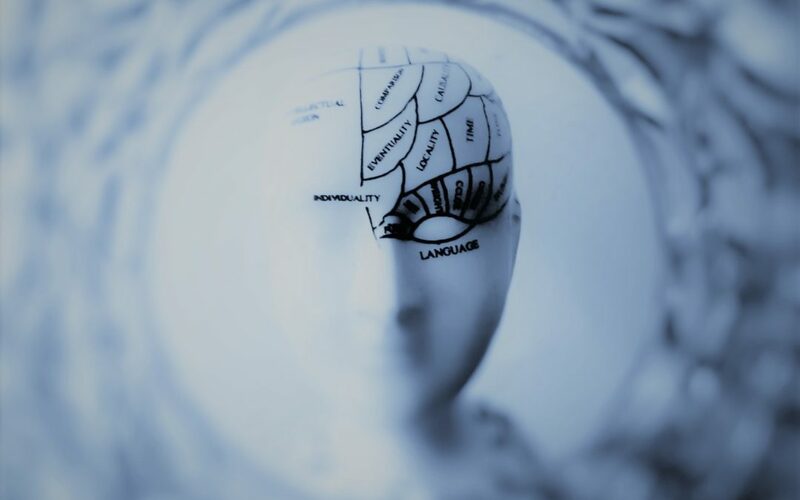 Traditional CBT works on the premise that it is how the individual interprets events, rather than the event itself, which influences ensuing emotions, behaviours and bodily sensations. Everyone has their own way of interpreting a situation. As the popular adage reflects: “We do not see things as they are, we see them as we are”. What traditional CBT is concerned with is “catching” the NATs that appear in response to an event. Often the NATs tell us something scary (“I am in danger”) which triggers the “fight or flight” response, causing adrenaline to rush through the body and prepare the body to either fight or run away (flight). In some cases, the body freezes if running or fighting do not feel possible. Its 3am and you’re fast asleep. You hear a noise in the kitchen (trigger/situation). The NAT (thought) is, “There’s a burglar in the house who is going to hurt me!”. Understandably, you would likely then feel anxious and fearful (emotions). In this example, the fight or flight response is triggered, and the adrenaline released would likely cause you to experience a racing heart, dry mouth and blurred vision (the physical symptoms). As a result, behaviourally you might choose to hide (flight) or go downstairs and confront the potential burglar carrying a cricket bat (fight). We have the same situation/trigger – it’s 3am and you’re awoken by a noise in the kitchen. You then remember that your neighbour’s cat is staying with you for the weekend. You would likely have a racing heart due to the startle response having been woken up suddenly, however, upon remembering that your neighbour’s cat is staying with you (thought), very quickly your heart rate would lower (physical response), you would feel calm (emotion) and you would likely relax and hopefully settle back to sleep quite quickly (behaviour). So, even though the trigger/situation is exactly the same, what you feel and do depends upon the thoughts and interpretation you give to that situation. How does traditional CBT change negative thoughts? First, we try and help the client identify their NATs through teaching them to keep thought records. This helps clients “catch” their NATs to help them understand the impact they are having on their lives. Next, we try to identify whether our clients are engaging in any “unhelpful thinking styles” that might be muddying the water. Unhelpful thinking styles are like wearing a pair of glasses which filter the way we see the world. For example, can you remember the last time you perhaps saw things in a “black and white” way? Or perhaps you “catastrophised” about something? Or maybe you caught yourself “mindreading”? Other common ones are thinking in “shoulds and musts” and jumping to conclusions; for example; “I’ve heard a noise in the kitchen, it must be a burglar”. Being able to identify when you are engaging in unhelpful thinking styles can enable you to “take off” the glasses and see things in a different way. Once we’ve been able to identify the NATs, the emotions linked to them, as well as any unhelpful thinking styles, we move towards looking for evidence for and against the NATs, much like a lawyer would do in a court of law. We only look for facts at this point, rather than relying on emotions as evidence. Once we have evidence for and against, we help the client come up with a more balanced, alternative thought that fits all the facts and then re-rate the emotions linked with this new thought. This new thought often results in less negative emotion and more helpful behaviours than the original NAT. How is traditional CBT delivered? Traditional CBT is very versatile. It can be delivered through one-to-one therapy, in a group, online through self-study, or through reading a self-help book. In one to one therapy, the therapist is directive and active. The sessions are goal orientated and there are regular reviews to make sure you’re working towards those goals. You will also be expected to do between-session work. With CBT, it really is the case that the more you put into it, the more you will get out of it. One such between-session task is called a “behavioural experiment”. This would involve planning to do something that is contrary to what you would normally do in order to test out a NAT (i.e. I will eat a piece of cake on Thursday at 2pm with my mum in order to challenge the idea that this will cause me to gain 5kgs overnight). Your therapist will help you to plan these experiments in a structured way, and help you anticipate obstacles. These experiments can be scary, but they also have the potential to be rewarding and empowering. CBT resources that we recommend. We recommend many self-help books. However, this is by no means an exhaustive list and there are many others on the market. These books are usually very accessible and can be useful in the first instance. Some of these books also integrate traditional CBT with other types of CBT. They can be used as standalone treatments or in conjunction with a therapist. There are several online programs that can be accessed through your GP (depending on your borough), which tend to be for mild to moderate anxiety or depression. There are also several for eating disorders; however, these need to be accessed through specialist services and again, are borough specific. How can you get CBT? If you think this type of CBT is something that could help you address the way you are thinking, feeling and behaving, your first route could be to speak to your GP for a referral for therapy via the NHS. You can also self-refer by accessing the NHS IAPT (Improving Access to Psychological Therapies) website to find local services. In general, traditional CBT is a short-term therapy. However, in the NHS the number of sessions offered will be very dependent on the borough in which you live and the reason you are seeking therapy. There is also generally a waitlist for treatment through the NHS. If you have a more severe problem, you might be referred to a specialist team. If you would prefer to seek private treatment, you can visit the British Psychological Society’s website, where you are able to filter according to the type of Psychologist you are looking for. You can also contact us directly. Here at Altum Health, the majority of our therapists are CBT trained. As Altum Health is a private practice, you can generally secure an appointment within 3-5 days, avoiding long waiting lists. We have different payment options and take medical insurance. In some instances, we can offer lower cost therapy. If you think that Cognitive Behavioural Therapy is a good option for you, please get in contact with us and we’d be pleased to discuss how we can help you.